Today’s food manufacturers have a lot to contend with. Getting products to market quickly, keeping up with constantly changing consumer tastes and staying compliant with current regulations are but three of the challenges manufacturers face. An Enterprise Resource Planning (ERP) software solution may be the essential tool you need for controlling costs, managing inventory, and meeting government regulations. Australian food and beverage processors and manufacturers have long looked to technology to improve productivity and reduce costs. Most food manufacturers start with a basic accounting package. These off-the-shelf packages competently handle the bookkeeping aspects of the business – record transactions, calculate GST, update ledgers, prepare financial statements and generate invoices. However, as a food company grows, needs become more complex. There are requirements to manage inventory, process sales and purchase orders, keep track of recipes, and plan, schedule and cost production. Typically these needs have been addressed by purchasing additional software systems catering to each individual activity. It’s not unusual to find separate systems for accounting, sales, purchasing, inventory and recipe management. This results in the same data being held across multiple systems, leading to the duplication of data entry, manual workarounds and often, an abundance of spreadsheets, usually inter-linked and increasingly complex. As industries evolve and customer requirements change, many food manufacturers are coming to the realisation that these systems are no longer aligned with their business objectives. An Enterprise Resource Planning (ERP) is essentially a suite of business tools that work together to provide functionality across the entire range of business activities you perform. An ERP solution connects all aspects of the organisation around a single, unified database. Accounting, inventory, sales, purchasing and production functions can all be inter-linked. This eliminates many of the more mundane bookkeeping tasks including the time wasted in performing duplicate data entry, and the errors this often leads to. This frees up accounting personnel to analyse and improve budgeting, income projections, expense analysis and business processes. Training is less complicated with a single software system. Users can quickly learn a single system and any new modules that are added later to increase functionality – there is no need to learn the nuances of multiple standalone systems. In addition, an ERP system is typically provided by a single vendor. This means the consultants that installed the system also provide ongoing support. The consultants ‘own’ any problems and this prevents you being passed from one vendor to another as problems arise. Better control of raw materials costs. An ERP system allows for the optimisation of inventory levels and more efficient purchasing processes. This reduces raw material shortages, allows for orders to be combined and helps avoid last minute ordering, reducing excess stock and production delays. Improved food safety and regulatory compliance. ERP systems can support better recipe management, quality control, and even complex labeling requirements. Provides accurate information for better decision-making. Customer, inventory, order and recipe information is all stored in the one place and food manufacturers can control the details of any specific complexities. An ERP system can generate a full range of financial analysis, from standard reporting to cost, margin, inventory, production, and customer analysis. “I can instantly get information to help me measure and control certain KPIs and control financial performance better.” Terry Riadis, Managing Director, Koshi Sushi. ERP helps us reduce waste and labour expenses. Consolidating all information in one place (ingredients, items, orders) means production staff can access all the information they need to fulfill an order – reducing entry time and the need for manual calculations and those hours spent manipulating spreadsheets. This includes handling ad hoc requirements such as special pricing, packing requirements and last minute changes to deliveries. Generates the documents you need to run your business. An ERP system can create most of the printed documents needed daily for your business, including purchase and sales orders, delivery runs, barcodes and customer packing lists. The challenges for today’s food manufacturer is how to meet regulatory requirements, improve business processes and make a profit, all under the pressures of increasing costs and customer demands for shorter lead times. ERP Systems allow you to see what’s happening across your entire business, not only improving operational performance but also providing the framework to meet regulatory compliance, all while containing costs. 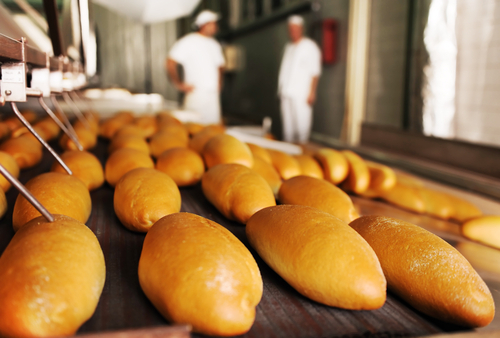 As a result, many food manufacturers are replacing multiple software applications with a single ERP system. “For the future we’re planning to add new product lines, and we’re confident we have a flexible, fully integrated business to handle further growth.” Terry Riadis, Managing Director, Koshi Sushi. Selecting software from all of the choices in the marketplace is a bewildering experience. The first step is to determine what you really need in a system in order to provide the best fitting solution possible. If you have any questions about ERP systems for Food Manufacturers please contact Acacia Consulting Services. Acacia have developed comprehensive, site-specific processes across multiple food industry sectors. We can assess your existing systems, determine what upgrades are required and implement and support the new software going forward.